Now that the house move is complete it’s time to turn back to 40K and Age of Sigmar. Inner Circle was time consuming and burned me out. I needed a break and now I am starting the get the itch back. 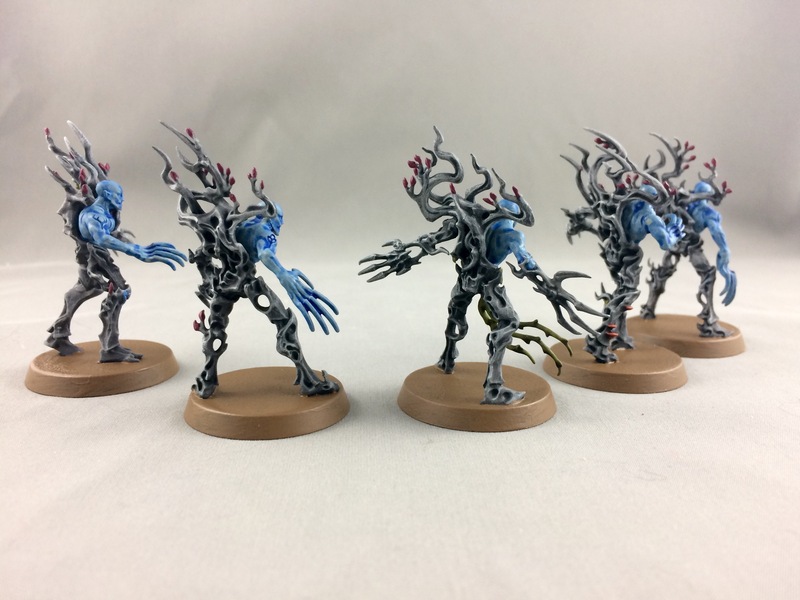 The Spite Revenants are the last models I assembled from the Sylvaneth box set. 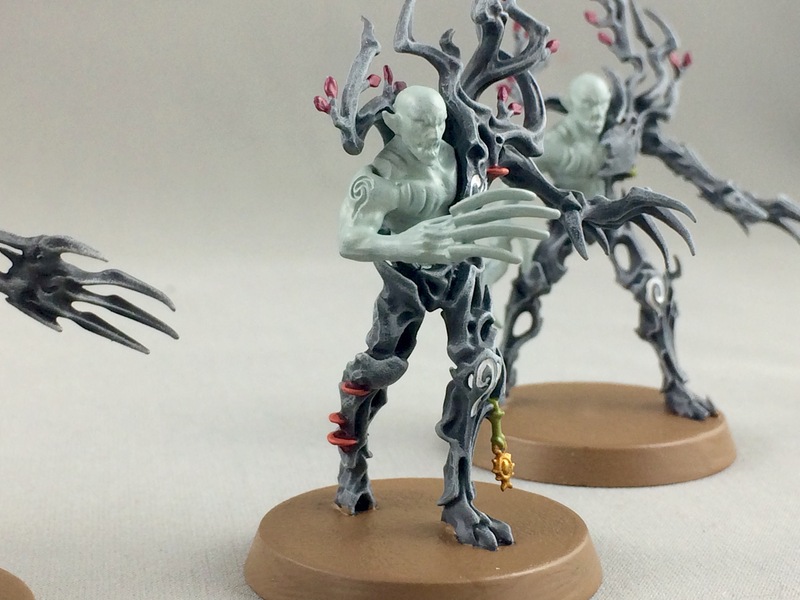 When I first read the warscrolls for the Sylvaneth this was the unit that I was the least inspired to use. They do seem like a great support unit with the ability to penalize the opponents bravery. I’ve only played one game with them so far so I need to play some more games to really get a grasp of how to use them. Lacking weapons and hair I think these models will be the easier of the two squads to paint; especially since I have figured out what to do with the skin. Here I have all of the base colours down. I’ve painted a few models lately with a brown bark so I decided to change it up and return to grey. For the grey bark I started with Mechanicus Standard Grey. I applied Nuln Oil and drybrushed Mechanicus Standard Grey, Dawnstone, Administratum Grey and concluded with Longbeard Grey. The skin is based with Celestra Grey. The vines sported by the squad leader are painted with Elysian Green. Screamer Pink is the base for the cherry blossoms. The fungus is based with Scab Red and highlighted with Squig Orange. The next step is covering the fungus with Agrax Earthshade. Then I applied Gulliman Blue glaze over the skin and runes. 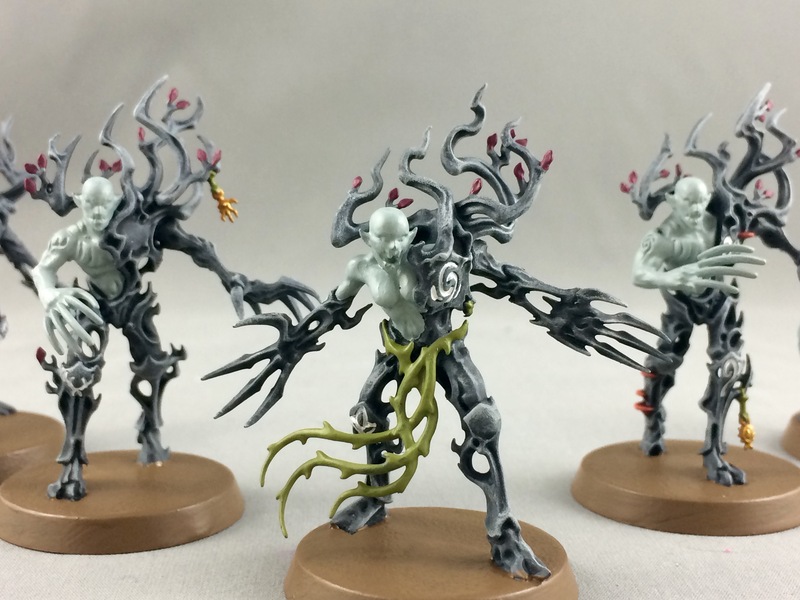 Athonian Camoshade is applied over the vines. Next step is painting the skin. Stay tune for more. If you collect Age of Sigmar and want to showcase your models drop me an e-mail. My info is on the sidebar. I’d love to showcase your collection. Thanks. 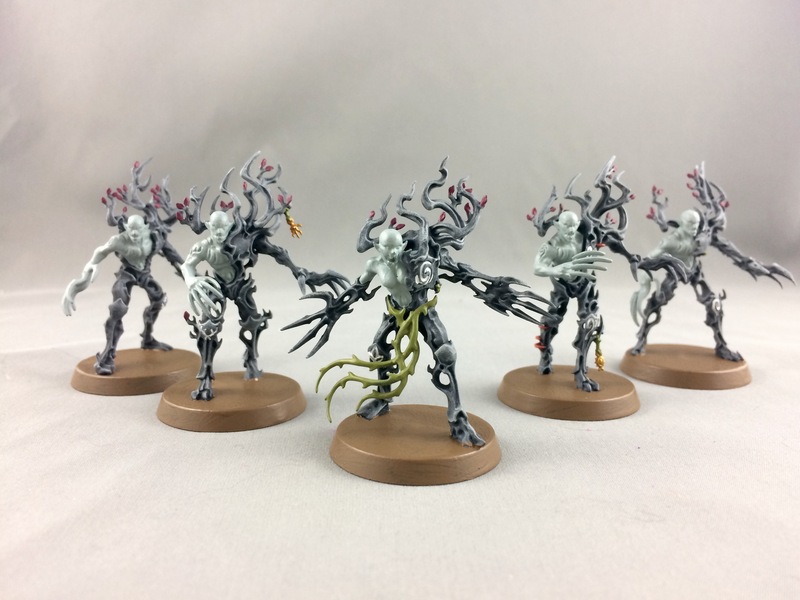 These will be easier compared to the Tree Revenants. They should be up and running soon. Thanks. 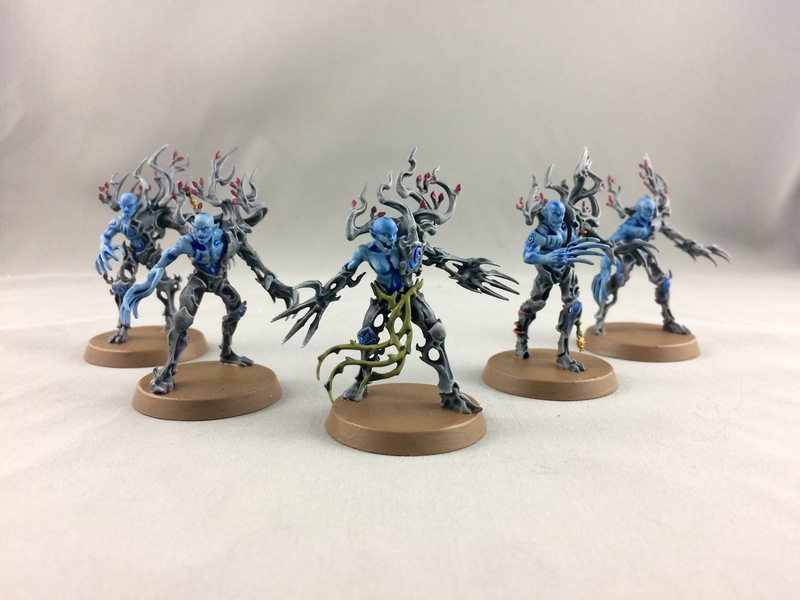 I’ve said it before and I’ll say it again, this army is a treat to paint. Cheers. Something to distract me before a certain project next month.